AKB48's 2017 General Election's preliminary results have been announced at last week, most media focus on the black horse - NGT48 member Ogino Yuka ranks the 1st place in the skirmish, however some fans may overlook other 2 NGT48 members' data. According preliminary results, it not just Ogino Yuka got good results (55,061 votes), other 2 NGT48 members Homma Hinata and Takakura Moeka also gets 25,032 votes and 21,667 votes separately. Compared to AKB48 General Election 2016 Top 3, Sashihara Rino gets 32,340 votes, Matsui Jurina gets 34,641 votes, and Watanabe Mayu gets 27,614 votes. NGT48 Top 3 gets 101,760 votes, on the other hand, 2016 top 3 member only gets 94,595 votes. Fans may thinks General Election is just a game of fans, however, please note NGT48 debut single sales was good, it sold 160,271 copies in first week. 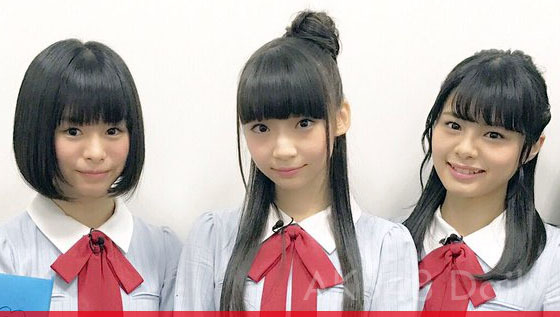 Moreover they got their own TV show "NGT48 no niigatta Friend" and TV drama "When they cry", and lot of TV ads, and most important they got local government and enterprises' support. 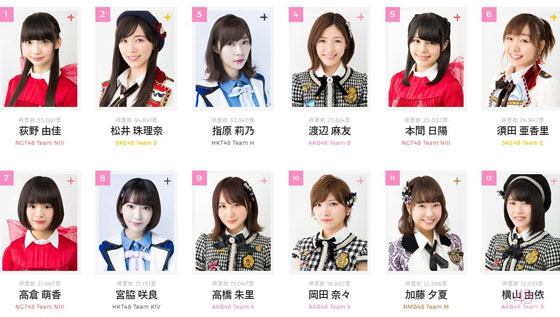 It seems NGT48's future is promising, and will be a new power leading AKB48 group.